To cut your energy costs we supply flexible PVC strips, in rolls and made to fit door kits, reducing cold air circulation through any area and aiding in pest and environmental control. While standard curtaining is versatile enough to cope with most requirements we can also offer a variety of different types including polar grade, for low temperatures, and anti UV grade. All available in standard clear but also in double ribbed which is used in openings with high volume traffic which protect the strip face from scratching therefore retaining clarity. Also available is our range of coloured PVC curtaining which we can supply in all types, as above but also as welding curtains. 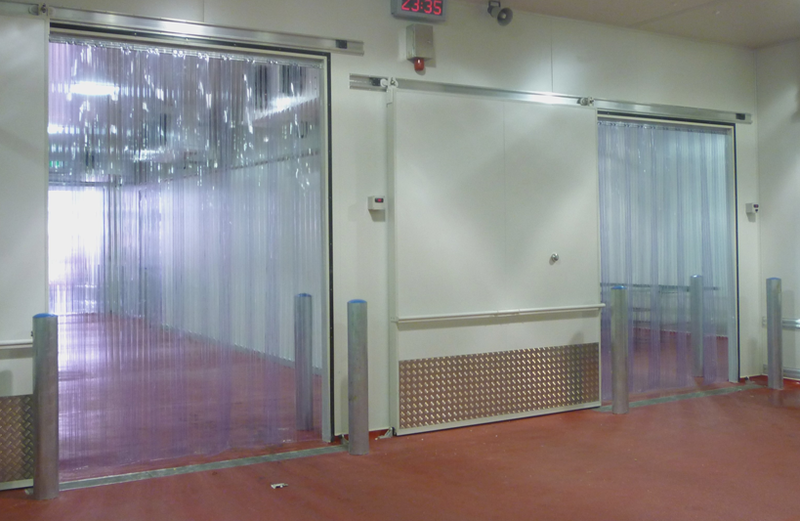 We can supply a range of sundry items such as hanging rails, hanging plates and rivets to suit. If you would like assistance in measuring a doorway or advice on the type of material to use, our team of sales engineers would be happy to arrange a site visit.